Muck City NPR coverage of Muck City: Winning and Losing in Football's Forgotten Town by Bryan Mealer. News, author interviews, critics' picks and more. 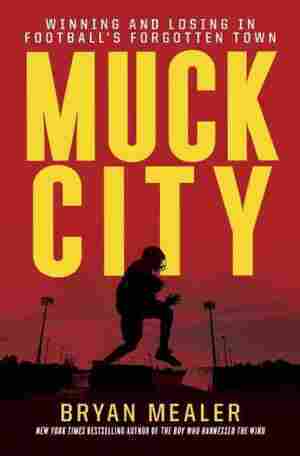 Muck City traces the intertwined stories of an orphaned quarterback, a celebrated football coach and an aspiring medical student. Their prospects were collectively shaped by the formidable challenges, shameful history and football enthusiasm of their hometown in the Florida Everglades. August 12, 2013  In softcover nonfiction, Bryan Mealer tells the story of a Florida town obsessed with football; Anne Applebaum examines the communist regimes of Eastern Europe; and Leon Hendrix remembers his legendary brother, Jimi. October 24, 2012  Over the past generation, Belle Glade Central High School in Belle Glade, Fla., has sent 30 players to the NFL. The school is proud of that record, but it might have come at a cost. 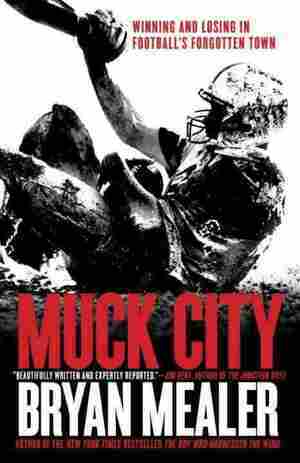 Bryan Mealer's Muck City spotlights the stories of players, their families, their coach and a town that struggles to win a spot on the field — and life. If there was ever a moment to look back upon and remember the love of a town, it was tonight under the lights of Effie C. Grear Field, when all of Belle Glade came out for the Jet. In a halftime ceremony on homecoming night, Jessie Lee Hester stood on the fifty-yard line and gazed into a familiar crowd. His team, the Glades Central Raiders, was already ahead by thirty-four points — a throwaway game in a march toward another winning season. But tonight's ceremony wasn't about winning and losing. It was about honoring a man who'd come home himself and, long before doing so, had returned some dignity to this blighted lakeside town. To everyone in the stands, he was known as Jet, the local kid who'd found his way into one of the most elite fraternities in the world, leaving an opening for hundreds of others. And as with many cheering from the bleachers tonight, his history was their own. He'd grown up among poor migrants: the Jamaicans, Haitians, and African Americans who worked the black muck in one of the most fertile corners of the earth. He'd lived alongside them in the teeming boardinghouses in Belle Glade's "Colored Town," one of six children piled atop one another in a two-room apartment that lacked its own toilet. His mother, Zara, left her brood each morning at four thirty for whatever field was in harvest, and didn't return until late, bent-backed and exhausted, her heavy sleep filling the soupy darkness. Two siblings had been born with autism, and with no father in the house, their care had fallen on Jessie and his older brother Roger. Back in those days there was never enough food, and Jessie remembers once having awakened at school surrounded by his peers after falling out of his desk from hunger. His willowy arms still bore the scars where his field knife had missed the stalk, his mind so hazy from fatigue during long hours in the vegetable rows. To the surprise of many, he would insist that his childhood had been happy, simply because in Belle Glade he'd seen nothing better. As a high school track star and wide receiver, he could sprint forty yards in 4.2 seconds. Roger was even faster, but he played in the band. And if you believed everything you heard in Belle Glade, neither boy could be called the fastest ever. For the graveyards were filled with the bones of all those who'd ever been christened the greatest — Friday-night legends such as James Otis Benjamin, Rosailious Hughley, C. W. Haynes — their destinies cut short by common fallibility and a childhood not likely described as happy. In addition to speed, Hester was blessed with shrewdness. He'd avoided pitfalls: He never smoked or drank or chased women he knew he couldn't outrun. Decades later, his former teammate and future Hall of Famer Isaac Bruce would describe him as one of the most intuitive route runners he'd ever seen play the game. As a young man in Belle Glade, Hester had spied the hidden lanes in the canefields and slipped quietly into the light. Everyone still remembers the crowd of recruiters and coaches that used to camp outside Zara's house. They remember when Bobby Bowden marched through the front door, grabbed a Coke from the fridge, and announced to the other coaches seated in the living room that "Jessie's my boy." He was All-American at Florida State, then, to the shock of everyone back home, taken in the first round of the 1985 draft, number twenty-three, just south of Jerry Rice and William "the Refrigerator" Perry. It was the first time that Belle Glade had been associated with anything more than sugarcane, black poverty, or disease — the same month as the draft, the town made international headlines when researchers discovered it had the highest rate of AIDS in the world. When Jessie Hester declared himself a Los Angeles Raider, Belle Glade felt a cool wash of redemption. Then the floodgates opened. In the years that followed, there would be scores of others to enter the league from Belle Glade and Pahokee, the rival town just eight miles across the canefields. Over time it would be hard to watch a game on Sunday and not find a player from the muck. But out of all the young men who made it, who tasted the cream in the faraway places where money and education could now take them, very few came home. Judging from the term papers Jessie composed in college describing his room in Zara's house ("My room at home is sunflower yellow. My mother made me matching curtains and a spread ... "), to the way he'd suddenly appear during off-seasons, parting Avenue E like Moses in a red Mercedes — it was as if he'd spent his whole career just waiting to get back. "After ten years in the NFL," the announcer said over the public-address system, "he returned to give back to the youth of his hometown, which he loves." A statue in the shape of a football helmet was revealed atop the press box, emblazoned with Hester's legendary number, 42, now being retired. Cheers erupted from the stands. Flanked by his wife, Lena, and two of their three sons, he stared back through the familiar light, returning the love with the smile the town had come to know. It was the smile he'd given every woman who'd ever fed him as a child, to every man not his father who'd ever praised him in the form of advice — watch that middle gap, Jet, you know how you do it. And it was the smile the few whites left in Belle Glade would remember when later asked to describe him. "He was the best those folks ever had," one man said, then added, "It's a shame what they did to him." Looking closely now at that smile, there was nothing behind the eyes that seemed to betray it, nothing that resembled distrust. The Jet was still running his routes, unaware the lanes were slowly closing around him. To understand where our characters and story begin, to feel the isolation of the far-flung Glades, first you must drive. You begin in Palm Beach along Worth Avenue, "the Rodeo Drive of Florida," where a parakeet caws from a coconut palm outside the Hermes store and a woman in tea-saucer shades keeps a limousine waiting. After three quick turns, you enter Southern Boulevard and keep your wheels pointed west, past Donald Trump's Mar-a-Lago Club and the shopping malls of Wellington, until the land unfurls into a green carpet of sawgrass and sugarcane, and heat waves dance along the bend of the earth. The plunge into wilderness is so sudden it brings to mind what you know about that road: how gators can cross at night and send a car careening into the canal, how the cane fires in autumn can jump the blacktop, and how, every spring, swarms of mating flies crossing the plain explode against the windshield like fat, yellow rain. Forty minutes after leaving one of the wealthiest enclaves in America, you enter one of the poorest. The welcome sign that greets visitors to Belle Glade reads, her soil is her fortune, but any profits produced by the black, loamy muck have long eluded most of those still living there. The region was once known as the "Winter Vegetable Capital of the World." But many of those fields and the jobs they produced were engulfed long ago by Big Sugar and the machines that now turned its fortunes. In 2009, the per-capita income in Belle Glade was just $14,018. Official unemployment stood at 25 percent, although city officials estimated it was closer to 40. The crumbling, sun-blasted apartment blocks in the migrant ghetto more resembled the outskirts of Kampala or Nairobi than any rural American town. It was a place so removed from modern society that some families had resorted to catching rainwater to survive. In a farming town of 17,467 people, there were more than a dozen gangs that preyed on young men and saturated the downtown streets with cocaine. In 2003, Belle Glade had the second-highest violent crime rate in the country. Shootings remained near-weekly occurrences. AIDS had left its indelible scar and lingering stigma. If you stayed long enough, there came a time when you felt as if everyone you spoke with had been touched by some sort of tragic episode — so that even along Main Street, with its fast food restaurants and sleek Bank of America branch, and within the quiet, middle-class neighborhoods, Belle Glade carried the aura of a trauma zone. Yet somehow from this crush of poverty and tragedy came one of the country's greatest concentrations of raw football talent. After Jessie Hester went to the Los Angeles Raiders, thirty players from Glades Central reached the NFL, while more found their way into Canada and other professional leagues (Pahokee's numbers were even greater). For a school of only 1,037 students, it was a staggering rate of success, considering that only eight out of every ten thousand high school football players (or .08 percent) are ever drafted into the NFL. In recent years, Glades Central has sent an average of eight players to NCAA Division I programs. It is said that in any given year, one hundred former Raiders are playing football somewhere in North America. Glades Central also boasts six state titles and twenty-five district championships. With such numbers, one might think, It's a town obsessed with football, and tick down the other places that come to mind: Aliquippa, Pennsylvania, Odessa, Texas, or perhaps even Long Beach, California, where Polytechnic High School alone has sent more than fifty players to the NFL since 1927. Or it could be one of a hundred other places in Texas, Pennsylvania, Ohio, or Michigan that inform Hollywood's treatment of the Friday-night game — the story of bighearted kids winning it all behind a coach's tough love in a town where football is like religion. In Belle Glade, where the risk of joblessness, prison, or early death followed each boy like a toxic cloud, high school football was more than religion, it was like salvation itself — the raft by which to flee a ship that kept drifting back in time. Football offered an education, a chance at life. As for the town, the relationship with the game went beyond fandom. It was something deeper, more psychological, like a weekly remembrance of lost, unblemished youth. Glades Central had to be one of the only high schools in America where its students were largely absent from football games. Watching from the bleachers were the uncles, fathers, and old gridiron kings whose own escape had eluded them. For a town with trouble on its mind, the Friday-night lights were the closest things to a catharsis, or at least a fleeting escape. "Down here," one player said, "there's so much trouble that winning is the only thing to look forward to. It's the only thing we're good at. For that moment, all our problems go away." Belle Glade was like no other football town in America. There was no Hollywood treatment of the Muck City game. What follows instead is the messy and chaotic pursuit of a title-seeking team, a story about home, loyalty, and the pressure to win in a town whose identity lay rooted in a game. It is a tale of great escapes, a story of survival. From Muck City: Winning And Losing In Football's Forgotten Town by Bryan Mealer. Copyright 2012 by Bryan Mealer. Excerpted by permission of Crown Archetype, a division of Random House, Inc.